While the Mars Curiosity rover has garnered most of our space-gazing attention lately, another of NASA's spacecraft has made quite a momentous discovery on an entirely different planet. The Messenger space probe (which stands for MErcury Surface, Space ENvironment, GEochemistry and Ranging) has found new evidence for ice on Mercury, which is surprising given its proximity to the sun. Thanks to a subtly tilted axis, many of the planet's polar craters never see the light of day, and can dip to temperatures as low as minus 370 Fahrenheit. Indeed, scientists claim there's 100 billion to 1 trillion tons of ice on Mercury -- David Lawrence, a Messenger participating scientist, said that "if spread over an area the size of Washington, D.C., [the ice] would be more than two miles thick." The Messenger, which only started orbiting Mercury last year, helped confirm scientists' conclusions by capturing detailed images of the planet's surface, measuring the craters' reflectivity and utilizing a neutron spectrometer that discovered the presence of excess hydrogen. 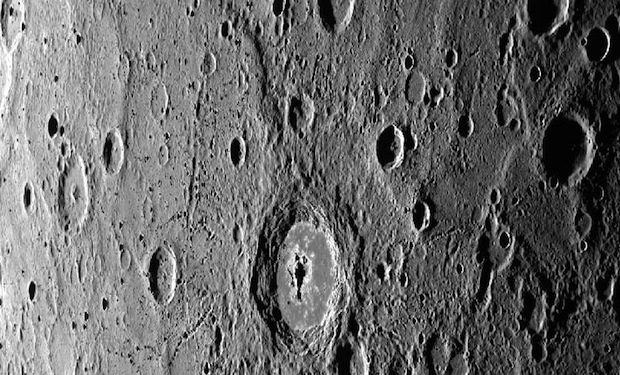 Scientists even found slightly warmer regions on Mercury that might be temperate enough for, well, a colony: "People joke about it, but it's not so crazy, really," said David A. Paige, a UCLA professor quoted in the New York Times. Of course, this is assuming we don't boil or freeze to death on our way there. For more information about the find, check out the press release below.